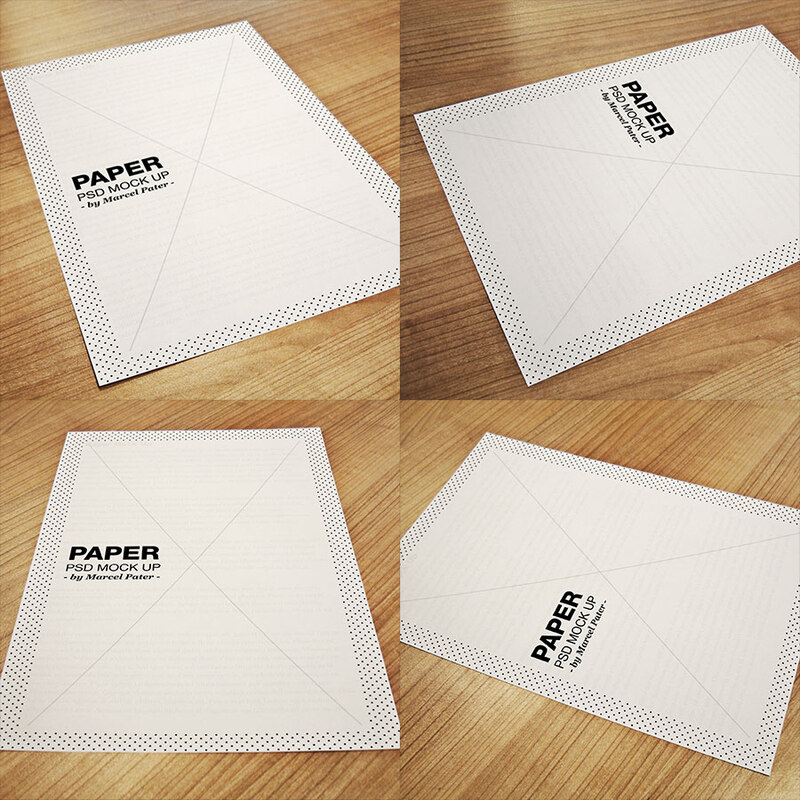 This file consists of five mockups of printed paper lying on a wood. Can be used to present your content in a more appealing fashion. 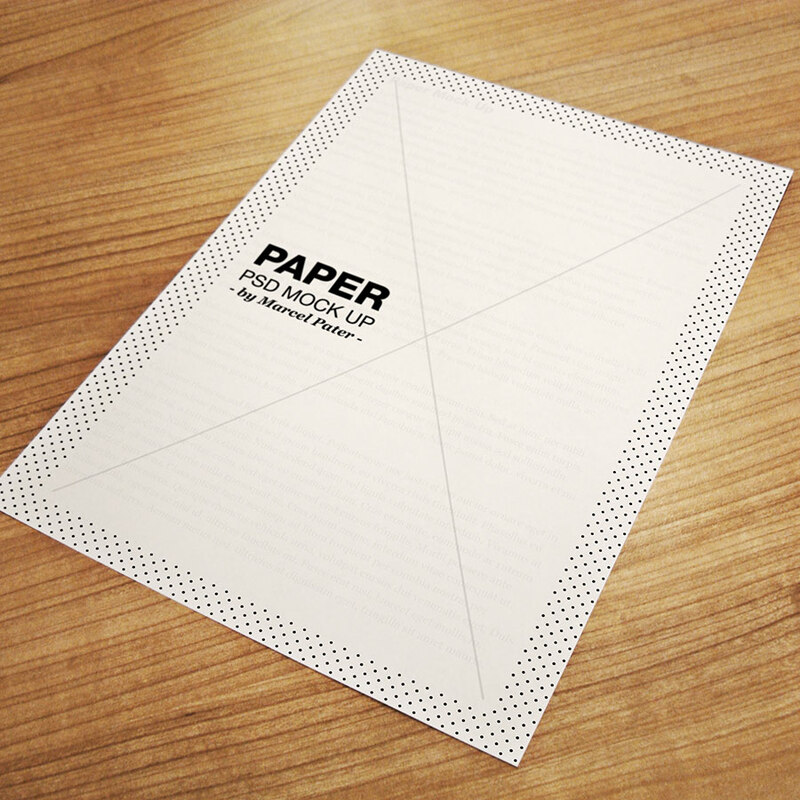 Edit the content on the paper by right clicking on the layer and selecting edit content . 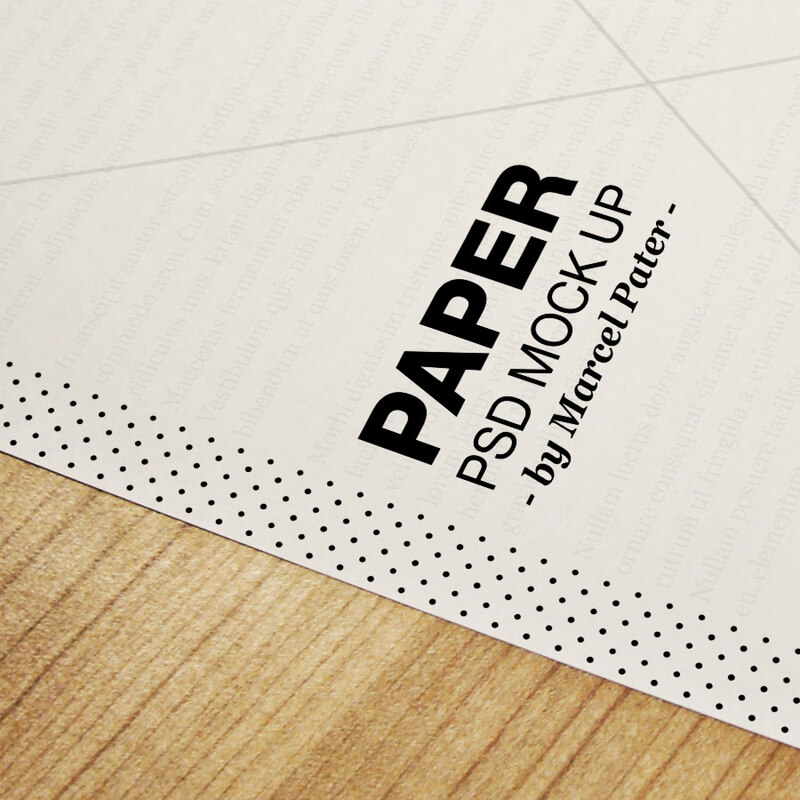 Free PSD created and released by Marcel Pater.